R.J. Rushdoony: 01:10 The Sermon on the Mount is one of the best known sections of the whole Bible. Even among non-Christians, it is regarded as one of the great documents of the world and is commonly reprinted in anthologies. However, when it comes to an understanding of the Sermon on the Mount, there is much less knowledge of it. R.J. Rushdoony: 01:37 Now, one of our problems when we read not only the Bible but anything that is written more than a few years ago is that language shifts continually in its meaning. Words change. Sometimes they go back to their original meaning, but very commonly the meaning depreciates. R.J. Rushdoony: 02:05 For example, all of us or most of us can perhaps remember when the word square was a compliment and then it became an insult. All we have to do is to double back to some of the literature of the Shakespearean era, read it and we find that we can easily make a mistake in understanding what has been said. R.J. Rushdoony: 02:33 Because in the 16th century for example, the word silly meant beloved, so that you could speak about your silly wife without getting her angry. You meant she was your beloved wife. The word farmer originally meant tax collector. It’s come a long ways in changing its meaning since then. Moreover, words tend to worsen or cheapen in their meaning. R.J. Rushdoony: 03:12 To give you an example, one of the problems is that languages continually have to bring in new words to express an old meaning because the word has shifted its meaning. Originally we had one word to indicate what the sense that the nose exercises is a the word was stink. But the word gradually gained a bad meaning. No one would think of telling his wife today that he loves her stink, because today stink means a bad odor. But originally, stink was a neutral word. You could stink beautifully or badly. R.J. Rushdoony: 04:05 Well, when stink went down the road, we had to bring in another word, smell. But the word smell is beginning to get the connotation of being bad. So we borrowed a word from the French: odor. And the word odor is going down the drain now. When you talk about an odor, that connotation usually is bad. R.J. Rushdoony: 04:33 Well, this is a problem and this is why it is important as we look at something like the beatitudes to understand what the words meant when our Lord spoke them, because then we hear him speak. R.J. Rushdoony: 04:56 The beatitudes begin, “Blessed.” All of them. Blessed. What does blessed mean? Well, the word can be translated as happy. Very simply: happy. It has also the connotation of prosperous, successful and yet neither happy nor prosperous and are successful carry the religious connotation which the word blessed still does, that things happen when we are in the will of God. R.J. Rushdoony: 05:42 And so the beatitudes began with, “Blessed are the poor in spirit,” the poor in spirit. What does the poor in spirit mean? Well, we have an idiom here. We’re familiar with idioms. They’re phrases and expressions which contain a meaning, which is not clearly reproducible any other way. R.J. Rushdoony: 06:13 My favorite example of an idiom which I won’t go into in detail, ants in your pants, which means you’re restless. What does poor in the spirit mean in terms of its meaning in our Lord’s day? Well, very simply this: blessed are they who feel their spiritual need. Blessed are they who feel their spiritual need for theirs is the Kingdom of Heaven. This is an amazing statement. We are not told that ours will be the Kingdom of Heaven, but that it is when we feel our spiritual needs, because there is something that accompanies that. Blessed that are they that mourn. R.J. Rushdoony: 07:09 The ones who mourn are those who feel their spiritual need, who suddenly realized that I don’t know the answers, but I am a sinner, that I need to know God and I need to know what life is about, what God’s purpose for me is, and so they are distressed over their waywardness, their ignorance and the distance between themselves and God, and so our Lord says those who feel their spiritual need and who mourn over their sinful estate, theirs is the Kingdom of Heaven. They shall be comforted. R.J. Rushdoony: 07:59 And then we have one of the most misunderstood of all the beatitudes. “Blessed are the meek, for they shall inherit the earth.” Now, I said we cheapen words. We don’t like meekness in the biblical sense, and so we’ve made meek means something like mousy, lacking in courage, boldness, and the light. R.J. Rushdoony: 08:30 But when we look at the word that our Lord actually used, why we find that its root meaning is broken to harness. That’s what meekness means: broken to harness. Well, a horse is not much use to a man unless he is broken to harness. Unless he is disciplined and that’s the root meaning of meek. The blessed meek are the disciplined. This is an important statement. R.J. Rushdoony: 09:13 One of the things about history that interests me is the Scottish people. I was interested in them before I ever met Dorothy, who is a Scot, but they’ve only become more interesting to me because of her. Well, the Scottish people were throughout the centuries, the fiercest of fighters. There was no one to equal them. The curious fact is they were not imperialistic, but when they crossed the border into England to do some raiding, why, the English reacted with total terror. They’d run for the castle. They’d put all the livestock in the yard outside in the enclosed pans, hoping that these Scots would be content with them. Then, they’d put the women on the first floor if they weren’t content or the cattle, they’d go after the women and then the men would get up in the second floor or the upper stories of the castle and wait there until the Scots would disappear because the Scots were such fierce fighters and no one could stand up to them. No one. R.J. Rushdoony: 10:26 If they had chosen to be imperialistic, they would have conquered Europe. However, what happened was this: the Scots were such fiercely independent that when Edward I began to institute military discipline, drill and endless drill for the troops, he was able to stop the Scottish raiders and step by step Scotland became conquered. Why? R.J. Rushdoony: 11:02 The Scouts could outfight the English every time, but because they were undisciplined and it was every man for himself and wild, suicidal charges against the enemy that would terrorize the enemy, a disciplined troop could deal with that. You see, the English became meek in the biblical sense. The English troops disciplined. And so they conquered Scotland. Well, when Scotland finally became united with England and the Scots became members of the English army, they were disciplined in spite of their basic hostility to discipline, and then it was the Scottish troops which the crown said his majesty’s enemies are always dispensable. In other words, put them on the front lines, the Scots. I don’t like them, kill them off. R.J. Rushdoony: 12:06 But instead, the Scots, now disciplined, conquered the whole of the British empire and that’s how the British empire was born, but when both Scots and English in this century lost that sense of discipline which came from a background of faith, the empire has crumbled. R.J. Rushdoony: 12:29 Now, that’s what our Lord is talking about. Blessed are the meek. The disciplined. They shall inherit the earth. Now, whether they are believers or not, they’re going to prevail, but what our Lord is saying is in effect, but in the long run, only the blessed meek will stand. What happens to a country, whenever it’s disciplined, when unbelief takes over, the discipline breaks down. I think I’m a little older than most of you are, or perhaps I’m close to being somewhat older and I can remember when even in Los Angeles, nobody locked their doors. It was a more disciplined society, you see. R.J. Rushdoony: 13:27 But now, it’s lawless. We are undisciplined and we are falling apart as a people. The Soviet Union is beginning to have the same problem. Like Nazi Germany, they had the background of a disciplined people, but the productivity in the Soviet Union has declined from the first generation to the second generation and now the third generation and they’re having a problem getting them to work. They have lost discipline. R.J. Rushdoony: 14:04 But our Lord says blessed, happy, prosperous, successful are the meek who are meek in me, disciplined by me, for they shall inherit the earth, and so he summons us. Take my yoke, my discipline, and you’ll find that my burden is easy and light because you will be blessed for being under my yoke, my discipline. So our Lord says now, blessed are the meek, the disciplined, for they shall inherit the earth. R.J. Rushdoony: 14:52 “Blessed are they which do hunger and thirst after righteousness, for they shall be filled.” Hunger and thirst after righteousness. Well, the word that is translated as righteousness can also be and in the Bible is also translated as justice. They’re the same word. Blessed are they which do hunger and thirst after righteousness. Well, everybody wants righteousness or justice, but not everybody hungers and thirsts after it. R.J. Rushdoony: 15:36 One of the interesting things to me is Roman literature in the first century. Rome had declined. It had lost its old character, and what was happening? Corruption was routine in high places and low. And what did people do about it? Well, if I were to go down to my library and bring up some books and read passages to you, it would sound like editorials out of our newspapers bewailing what’s going on? Everybody was ready to say, all politicians are crooked. Everything is rotten. You can’t find an honest man to do this or that kind of job, but no one was hungering and thirsting for justice because when you hunger and thirst after something, you go after it. R.J. Rushdoony: 17:03 “Blessed are the merciful, for they shall obtain mercy.” Now, we know what mercy means, but the word in the Bible, in the original Greek has an active connotation. Blessed are those who are actively compassionate, who just don’t feel merciful, but who are actually, actively merciful, for they shall obtain mercy. R.J. Rushdoony: 18:40 And I was very happy that I could tell her, you misunderstand the meaning of this verse entirely. Because when we say pure today, we have a totally anti-biblical idea of what pure means. We think of it as something untouched by human hands, cellophane wrapped, machine packaged so that it’s untouched by anything. R.J. Rushdoony: 19:11 The Biblical word for pure is very different. It’s associated with white hairs and with age and with troubles, refined by fire. It has that connotation. The biblical word for pure means refined by fire. We still have that to a degree in the English when we speak about pure gold or pure silver. Why is it pure? Because it’s been through the refining process, so it’s not the cellophane-wrapped thing or the newborn baby that’s pure, marvelous as they are. It’s those of us who have been refined by fire, who’ve been through the mill, who’ve seen troubles and problems and we’ve grown in terms of it. And that’s why in Biblical society, respect for ages required because it is assumed that all those who are godly and a part of the covenant people and have years to their life have with each passing year gained purity, wisdom, understanding. Blessed are the pure in heart, those who have been refined by fire, for they shall see God. R.J. Rushdoony: 20:51 “Blessed are the peacemakers, for they shall be called the children of God.” Now again, we have a word that our day has perverted: the word peace. We think nowadays of peace as the absence of problems and the absence of troubles and all things quiet, and so it’s come to mean appeasement. The Bible condemns that kind of idea, and in the Old Testament we are told of God’s judgment upon those who cry peace, peace, when there is no peace. The peacemakers are those who bring in order. R.J. Rushdoony: 21:45 Peace means order. It means all things are in their place and doing that which they are supposed to be doing. So, it’s peace in the sense of order. You have peace under your motor hood when everything is functioning properly. That’s peace in the biblical sense. You have peace in this biblical sense when everyone is God-fearing, obeying God’s law. Families are functioning properly. Now, they may be very busy. There may be a lot of noise going on, but there is peace because there’s God’s order. Blessed are the peacemakers, for they shall be called the children of God. R.J. Rushdoony: 22:36 “Blessed are they which are persecuted for righteousness’ sake, for justice’s sake, for theirs is the Kingdom of Heaven.” Persecuted. The word persecuted can also be translated as pursued, chased, hunted down, for righteousness’ sake, for justice. People will not let them alone because they stand for justice. R.J. Rushdoony: 23:10 Let me give you an illustration of the meaning of being persecuted for righteousness’ sake. Of course, it can be persecution in the total sense of being killed for the faith. That’s the extreme meaning, but the ordinary meaning of persecuted here can be illustrated by something which took place in this country in the past decade. Abortion was legalized. R.J. Rushdoony: 23:44 Now, doctors knew what abortion is, but it is murder. That it does create incredible suffering for the unborn baby, and yet the majority of doctors chose to be silent. All over the country, as I traveled, I saw this kind of thing happening, partners in medical practice dissolving their partnership over the issue of abortion, and yet none of the doctors involved were practicing abortion. In some cases every last one of them was against it, but the issue was it’s a very unpopular thing now to take a stand against abortion. R.J. Rushdoony: 25:15 But one of them would say, “No, we have to stand out against this and I cannot be silent on this issue.” And the partnership will dissolve over that. And then the partners who had insisted on keeping quiet, would pursue the partner who broke with them. They would do everything to run him down, to slander him because he troubled their conscience. Now, that’s what the word persecuted in its basic meaning is. You’re pursued. 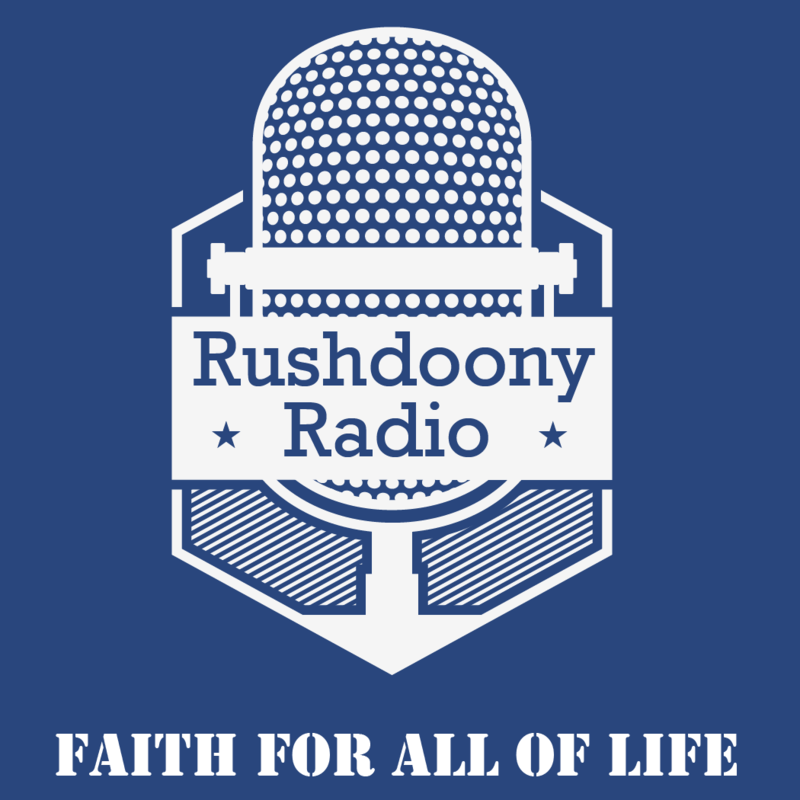 R.J. Rushdoony: 25:54 People will not let you alone because you’ve taken a stand. They’ve got to run you down because your stand or your honesty or your character is a reproach to them, and so they have to run you down. Run you down. You see? That idiom and the word pursued, persecuted, are closely related, and that’s what our Lord is talking about. Blessed are they which are persecuted for righteousness’ sake, for theirs is the Kingdom of Heaven. R.J. Rushdoony: 26:34 “Blessed are ye when men shall revile you and persecute you, and shall say all manner of evil against you falsely for my sake. The word revile is closely related to persecute or pursue. It means to reproach, to upbraid with a sense of nagging. You’ve made a stand. People are troubled because of your position, so they’re going to keep after you, reviling you. It has a connotation of a verbal barrage, endlessly. A lying barrage. They cannot be silent, either to you or to others about you. R.J. Rushdoony: 28:04 You’re in good company: the company of the prophets. And rejoice, because what I am outlining is not the way just of trouble, but the way of blessing, of happiness, prosperity, success. God having created the world, there is no way to succeed in this world except on God’s terms. R.J. Rushdoony: 28:34 And hence, the beatitudes are precisely what their name implies: the way to happiness, to blessing, to prosperity and success. You do it on God’s terms and no other way. R.J. Rushdoony: 28:56 And so the beatitudes are indeed a great and a joyful proclamation, because while they do speak about mourning, persecution and being in a condition of hunger and thirst, they also tell us how we become more than conquerors through Christ who loved us. Let us pray. Thy Word is truth. Thy word alone holds the key for blessedness, for happiness in this life. We thank thee for one another. We give a special thanks for Ken Thurston, for his faithfulness, for his faith. And we pray that that thou wouldst heal him speedily and return him home healthy well and rejoicing, his loved ones, and indeed bless us this day and always thy service. In Jesus’ name, amen.